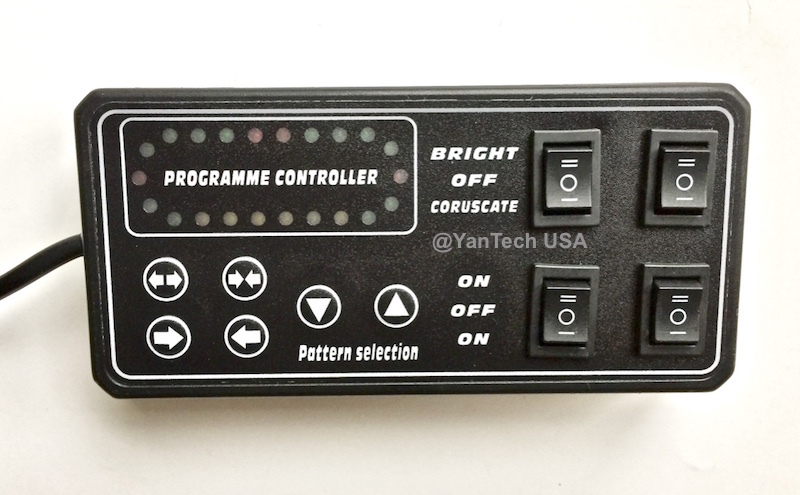 Full Function Display Control Box with Left & Rright Alley & Take-Down Lights Tri-Directional Traffic Director. Click this Mini Control Box link to see the additional functionalities of the controller. A separate wire to hook up BEAK/TAIL/HAZARD/TURN SIGNAL LIGHTS by using a LED controller box. Latest generation super bright LEDs (86 LED diodes), 1 watt, 100,000 hour. 10 group of lights each side, and 4 LED diodes each group. With the upgraded mini controller, take down and alley lights can work steady, flash synchronously or flash alternatively. When turn off take down and alley lights, they can flash with the main flashers. 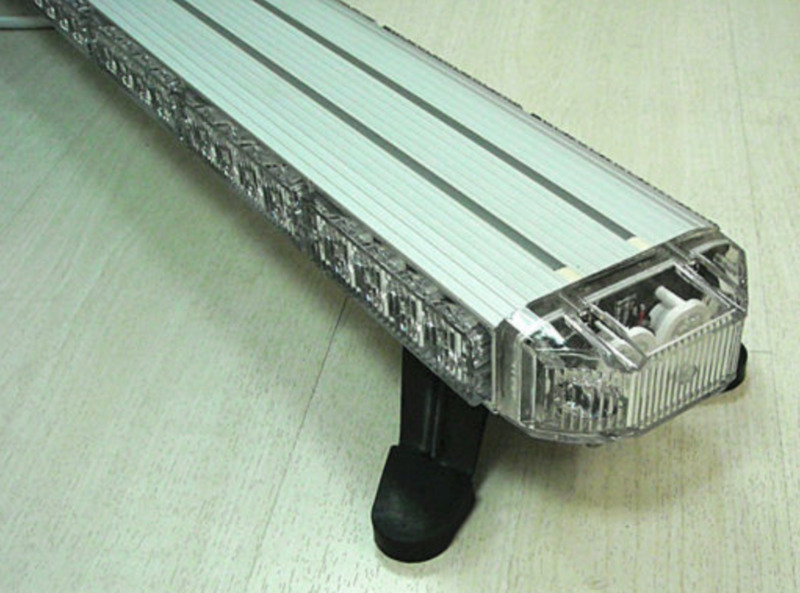 The control box can also turn on the front LED modules and rear LED modules separately. Take-Down Lights & L & R Alley have three modes: lights on steady, flashing alternatively or flashing simultaneously. Both Take Down Lights and Alley Lights can flash together with the main flashers.